Installing a Closed Circuit Television System in your home is one of the most important security decisions you can make. For over 25 years Spy Security Inc has offered quality, affordable security camera installations in greater Vancouver. So let us provide you the perfect CCTV camera solution. We've got solutions for your house, townhouse, apartment or condo. Watch your security cameras live from anywhere in the world. The latest in smart video recording technology allows for easy accurate recording of events. Finally no more false alarms or complicated user interfaces. Our newest systems are so clear and even easier to operate. So call our West Vancouver office today for a free onsite quote. Our CCTV packages are perfect for any home at any stage of its life. Start to finish, we've got the experience and CCTV security products to get you the surveillance results you need. We offer solutions for all commercial CCTV installations. All our installers are licensed and have many years of experience. All our commercial CCTV installation equipment includes 3 year warranty. So why not call us for a free estimate. We are always up to date with the latest CCTV technology to help keep your business secure. 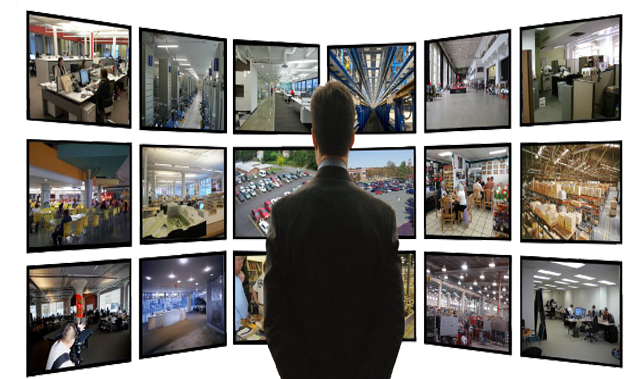 Similarly, we offer only quality CCTV camera systems for your business, warehouse, storefront or building. General contractors, building owners, retail stores and commercial building managers rely on us for all their CCTV needs. Whether its a new system or an upgrade on an existing system, we have the solutions. Remember, we'll come to you, anywhere in greater Vancouver for a FREE no obligation detailed quote. Therefore, for new commercial spaces, apartment buildings undergoing renovations, or office towers getting updated, we can help. Call today and let us make your property secure. No job is too big or too small. We do more than just new security camera installations. So if you are having trouble accessing your existing video system remotely, we can help. Does one of your CCTV cameras need replacing, consider it done. If you've got a problem with any type of CCTV camera system we'll get it sorted out quickly. Absolutely we've got the know how to re-network any DVR or NVR system. Also, our licensed service technicians carry many tools, replacement parts and accessories. Therefor we can fix most CCTV problems on the first visit. So why wait, contact Spy Security today to get your camera system up and running right away. Whether you're in North Vancouver or Langley, we've got CCTV service technicians ready to go. Finally, it must be time to start utilizing your existing camera surveillance system to its full potential! So give us a call today, you won't regret it. Spy Security is one of Vancouver's original security camera installations company. In addition we have experienced, licensed, professional CCTV installers ready to make any camera need a reality. So call us for camera installs, upgrades, or camera system troubleshooting. We install in houses, retail stores, warehouses, strata properties, government buildings and commercial properties. Certainly our vast experience in the local security camera industry and related security installations makes us your perfect solution. Spy Security is licensed and insured for CCTV installation services everywhere in British Columbia. We are located on the North Shore but we have satisfied customers from the Fraser Valley , to Nanaimo, and all the way to Whistler. However, no job is too big or too small for our experienced team of professional camera installers. We offer FREE ESTIMATES on CCTV installation services. So if you are in North Vancouver, West Vancouver, Burnaby, Vancouver, New Westminister, Coquitlam and Port Moody. We also service Surrey, Langley, Abbotsford, Chilliwak, Squamish and Whistler. Whether you are looking for new security camera installations or just add on cameras, we've got solutions for you. So call Spy Security today. We'll upgrade your existing analog camera system to HD or IP. Alternatively, if you need help in solving DVR networking or related problems, we have the experience, knowledge and products to help. Remember, we offer FREE ESTIMATES. Similarly, all professionally installed systems include 3 years warranty on cameras and recorders. So call us today at 604-990-6667 with questions, to order products, or for a free onsite estimate. Above all, selling, servicing and installing quality, reliable security camera systems is our specialty. Because of the wide variety of security cameras and related CCTV equipment we offer, we have the right solution for your security. This, combined with our vast experience in local security industry, means we have camera solutions for any problem. Why wait, our security camera installations will make your home and your family more secure. Your home is one of your biggest assets and the place your family spends most of their time. For that reason, let us help you make it secure! Broken camera system, no problem. Similarly, there isn't a video security system on the market today that we won't troubleshoot. If we can't fix your CCTV system then no one can. In this case its certainly time for an upgrade. With that being said, we can often just replace hard drives on DVRs, connectors or power supplies to get your system working. We can reset passwords, replace broken cameras, DVRs or anything else that has stopped working correctly. Hence, you only pay for what actually needs to be fixed. We can also your house or building during construction and come back to put in cameras when you are ready. Similarly, our installers can set up temporary video systems to watch construction. This is an easy way to protect materials during the build. Already have a CCTV system? Consider updating to a brand new one. We'll install a new HD video system using your existing cables and save you significant time and costs. Spy Inc. can even supply you with the equipment and know how to do it yourself. So give us a call today for a FREE ONSITE ESTIMATE. We are happy to meet you at your building and give you some recommendations and a written no obligation quote. Incidentally all of our commercial grade video systems now come with a 3 year warranty on all equipment! We also offer free lifetime offsite tech support on all our CCTV products. Speak with us today at 604-990-6667. Text us at 604-889-4356. Or fill out our contact sheet and we will email your right back. We offer FREE Security Camera Installations quotes. security consultations, sales and service. Rather than fumble through it yourself, have one of our experts troubleshoot your CCTV system. We are always ready to help.